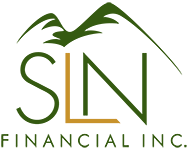 September 9, 2015 - 3 Ways to Boost Retirement Savings | SLN Financial, Inc. If you’re lucky enough to have an employer who matches retirement plan contributions, don’t throw away free money by failing to take full advantage of your employer contributions. For example, if you make a salary of $100,000 and your employer matches dollar-for-dollar contributions up to 6%, then the first $6,000 of your salary should go to your retirement savings. Why? You will immediately double your money through your employer’s matching contributions. That’s on top of any return you achieve on your investments. It can be hard to find room in the budget to save for the future. Though most experts recommend saving between 10% and 15% of your annual income, research shows that only about one-third of middle-income Americans are socking away more than 10% of their income. With default retirement plan contribution rates set as low as 3%, it’s easy to fall into the trap of not saving enough. Instead of trying to suddenly increase your savings rate, boost your savings by a small amount each year to cushion the effect on your budget. Whether you increase your salary deferral or contribute more of your paycheck to a savings account, slowly increasing your savings rate over time will make it easier to consistently add to your nest egg. Sudden windfalls of cash make a great opportunity to boost your account balance without affecting your regular spending patterns. When you receive a bonus, cash gift, inheritance, or other lump sum, consider contributing as much of it as possible to your retirement savings. These occasional cash infusions can make a big difference in your long-term savings without making a dent in your budget.